Merion Construction contacted All Noise Control to solve reverberation problems; in a large space. They wanted something that would be economical to install and easy to maintain. Merion Construction has broad experience and expertise in the construction of Class ‘A’, multi-tenant office buildings, luxury residential condominium and apartment buildings, retail centers, and other complex, high-end building projects. This experience is multi-faceted ranging from informal construction management and oversight to full-fledged general contracting. Merion Construction fell 100% confident that their decision to use All Noise Control was the right decision. The main goal for All Noise Control was to find a product that applied to their requirements. All Noise Control provided Merion Construction with the Acoustical Ceiling Baffles. This product would help echolike force and ambient noise levels in an upper area. This product is proven and effective to sound absorber and helps reduce reverberation. It is very inexpensive, the submission to install are simple, maintains as well. 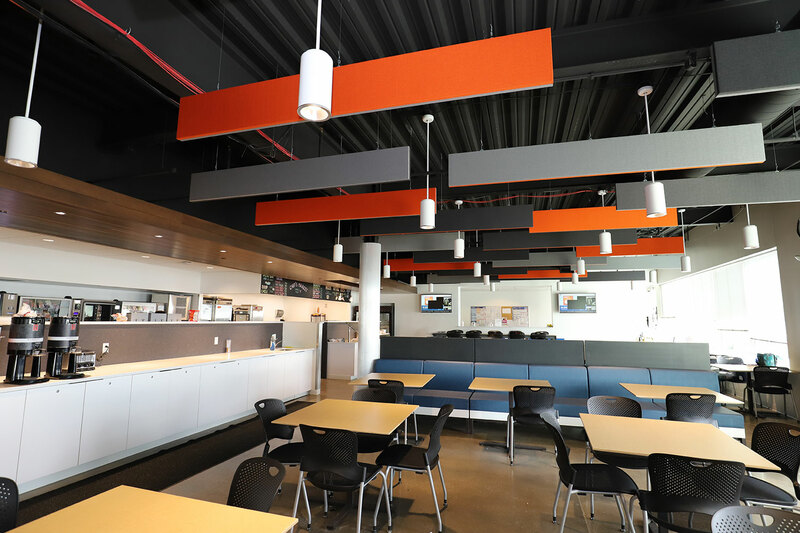 The Acoustical Ceiling Baffles is a product that is lightweight, class (A) fire- rated and available in various colors, sizes to meet any acoustical needs. The thickness is 1.5″ and it weight four pounds. All Noise Control acoustical ceiling baffles & acoustical banners are lightweight ceiling baffles and banners you can create unlimited architectural effects that improve sound quality as well as the spaces aesthetics resulting in an ideal acoustical environment. Merion Construction was very pleased with the product that All Noise Control had for them. The acoustic ceiling baffle has completed the project and it sound absorption. The ceiling looks amazing, and they no longer have any noise issues. All Noise Control welcomes you to visit the acoustical ceiling baffles page at www.allnoisecontrol.com or if you have any question please feel free to contact info@allnoisecontrol.com or customer service line at (561)-964-9360.